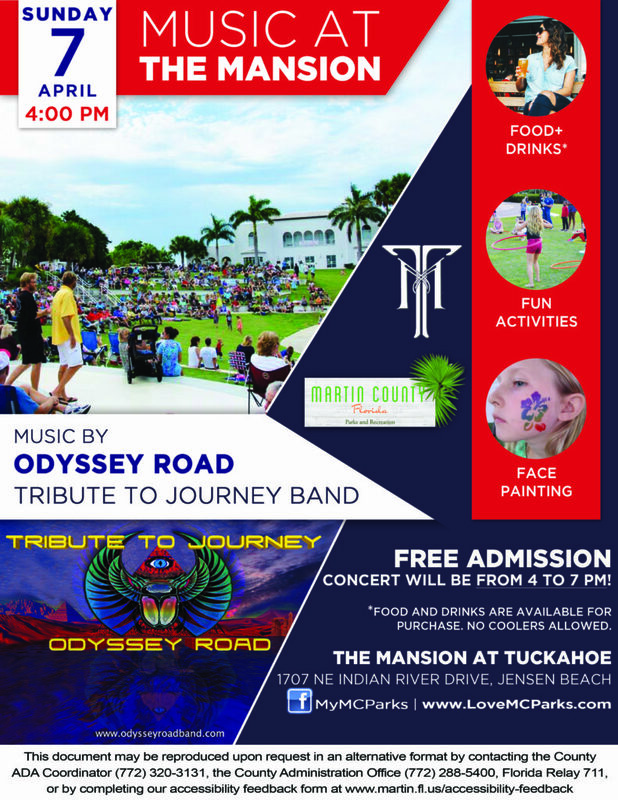 Invite family, friends, neighbors and everyone you know to come and enjoy a great performance from Odyssey Road: Tribute to Journey Band right in front of the Indian River Lagoon!! Admission to the concert is FREE and to make a great event even better, we will have FREE kids activities to keep the little ones entertained! Food and beverage vendors will be on site ready to satisfy all your cravings! No coolers allowed.